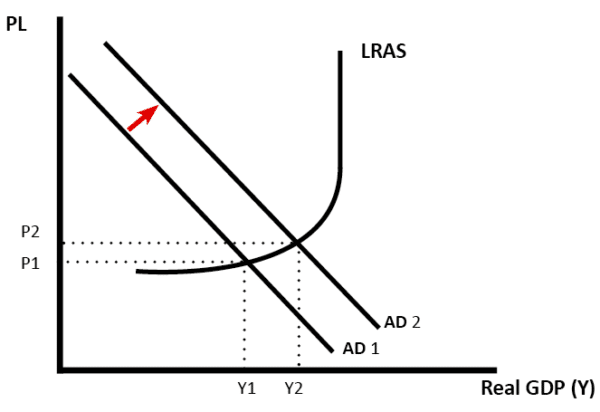 Demand-pull inflation – this occurs when the economy grows quickly and starts to ‘overheat’ – Aggregate demand (AD) will be increasing faster than aggregate supply (LRAS). This occurs when AD increases at a faster rate than AS. 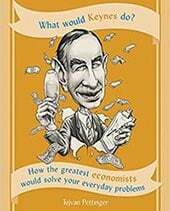 Demand pull inflation will typically occur when the economy is growing faster than the long run trend rate of growth. If demand exceeds supply, firms will respond by pushing up prices. 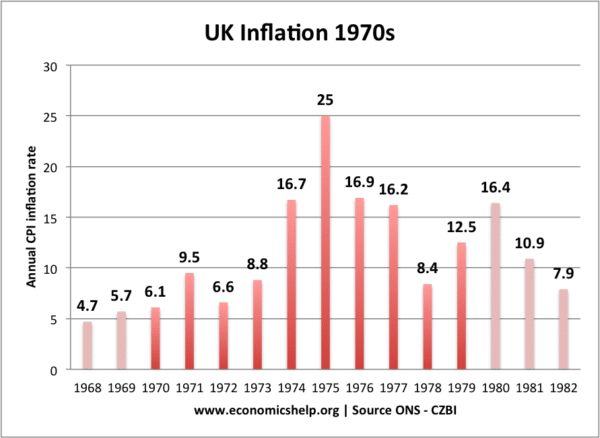 The UK experienced demand-pull inflation during the Lawson boom of the late 1980s. Fuelled by rising house prices, high consumer confidence and tax cuts, the economy was growing by 5% a year, but this caused supply bottlenecks and firms responded by putting up prices. Therefore the inflation rate crept up. 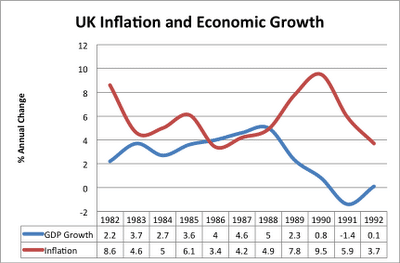 This graph shows inflation and economic growth in the UK during the 1980s. High growth in 1987, 1988 of 4-5% caused an increase in the inflation rate. It was only when the economy went into recession in 1990 and 1991, that we saw a fall in the inflation rate. See: Demand-pull inflation. 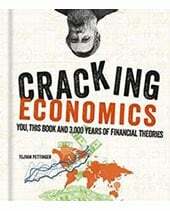 In early 2008, the UK economy entered a deep recession(GDP fell 6%). However, at the same time, we experienced a rise in inflation. 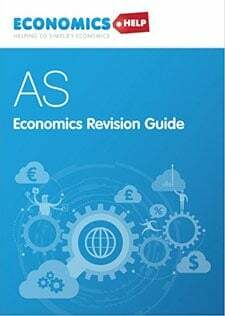 This inflation was definitely not due to demand-side factors; it was due to cost push factors, such as rising oil prices, rising taxes and rising import prices (as a result of depreciation in the Pound) By 2013, cost-push factors had mostly disappeared and inflation had fallen back to its target of 2%. 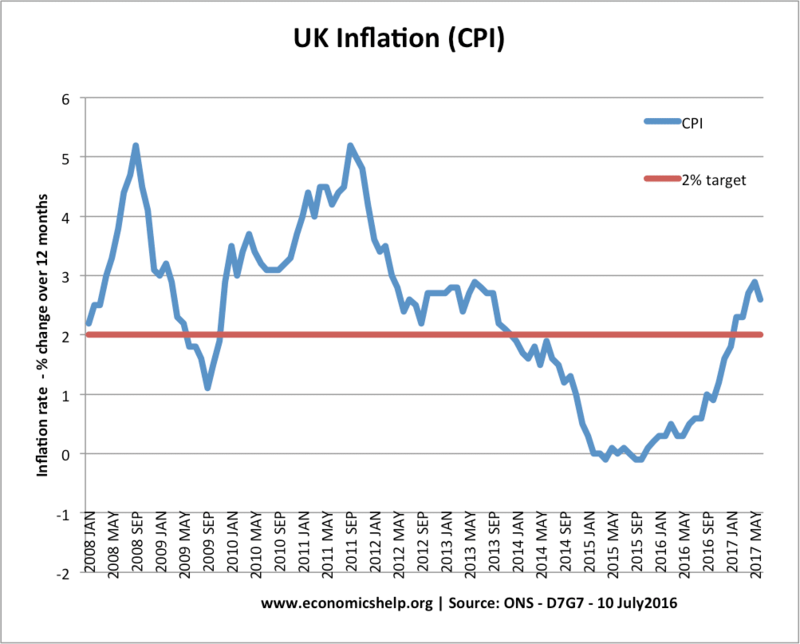 After the June 2016 Brexit referendum, Sterling fell another 13% causing another period of cost-push inflation in 2017. Sometimes cost-push inflation is known as the ‘wrong type of inflation‘ because this inflation is associated with falling living standards. It is hard for the Central Bank to deal with cost push inflation because they face both inflation and falling output. Rising wages tend to cause inflation. In effect, this is a combination of demand pull and cost push inflation. Rising wages increase costs for firms, and so these are passed onto consumers in the form of higher prices. Also rising wages give consumers greater disposable income and therefore cause increased consumption and AD. In the 1970s, trades unions were powerful in the UK. This helped cause rising nominal wages; this was a significant factor in causing inflation of the 1970s. 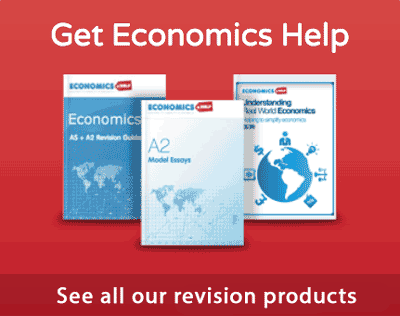 A depreciation in the exchange rate will make imports more expensive. Therefore, the prices will increase solely due to this exchange rate effect. A depreciation will also make exports more competitive so will increase demand. The inflation rate can also increase due to temporary factors such as increasing indirect taxes. If you increase VAT rate from 17.5% to 20%, all goods which are VAT applicable will be 2.5% more expensive. However, this price rise will only last a year. It is not a permanent effect. 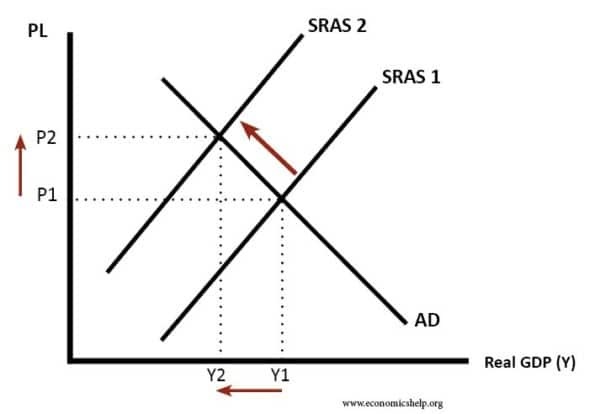 One measure of inflation is known as ‘core inflation‘ This is the inflation rate that excludes temporary ‘volatile’ factors, such as energy and food prices. 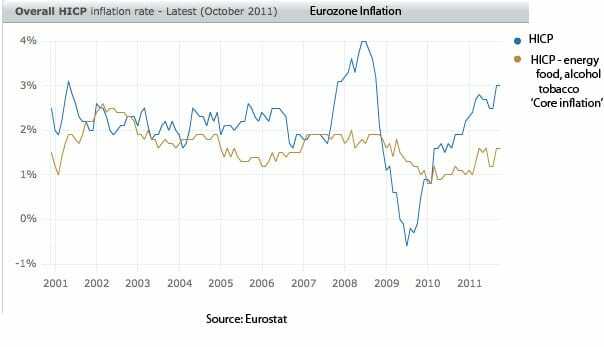 The graph below shows inflation in the EU. The headline inflation rate (HICP) is more volatile rising to 4% in 2008 and then falling to -0.5% in 2009. However, the core inflation (HCIP – energy, food, alcohol and tobacco) is more constant. 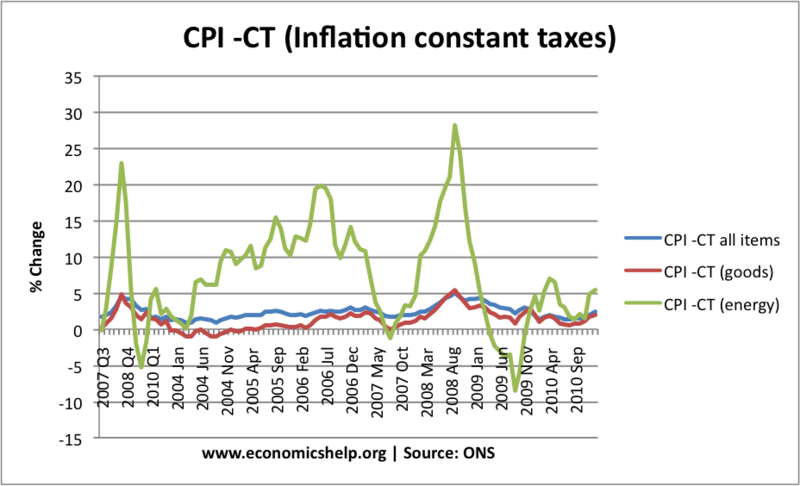 This shows that energy prices were very volatile in this period, contributing to cost-push inflation in 2008. There are different measures of inflation. RPI includes mortgage interest payments. 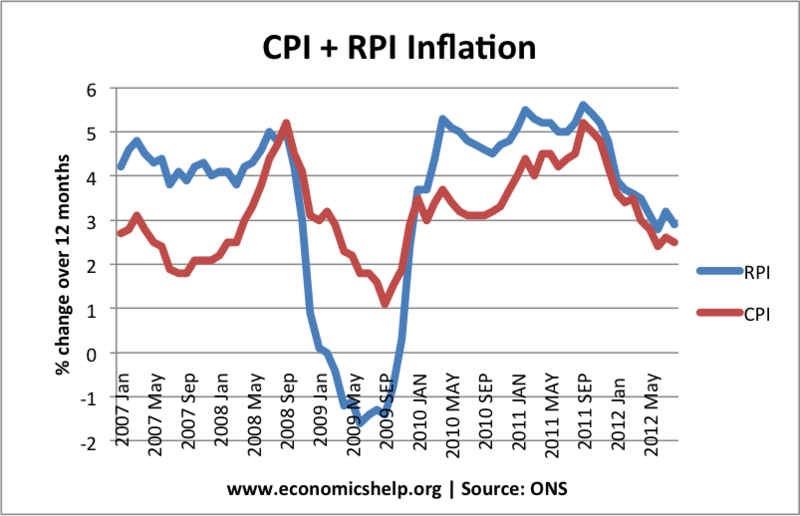 In 2009, interest rates were cut, therefore, RPI measure of inflation became negative. CPI excludes the effect of mortgage interest payments. The ONS now produce a statistic CPIH, which is CPI – owner occupier costs. 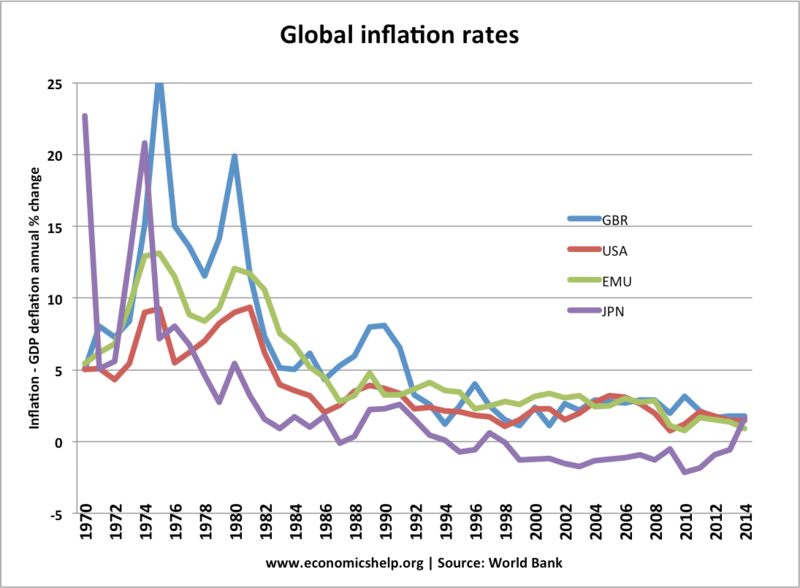 Inflation tends to be global. In the 1970s, rising oil prices caused inflation in most major economies. Since the 1990s, inflation has fallen across the world. 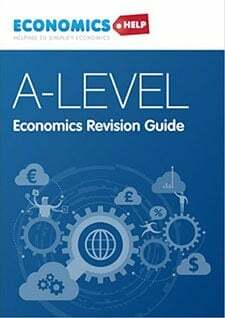 Shrinkflation – when prices stay the same but the size of the product is reduced. thanks for your answer it helps me a lot..! Inflation can be easily understood,it’s just that one must be committed and its must be someone with ambition.